Red Bull emerged in MotoGPTM through Yamaha, several key athletes, an association with HRC, event sponsorship, Rookies Cups and finally emphatic presence in every Grand Prix class with Red Bull KTM. 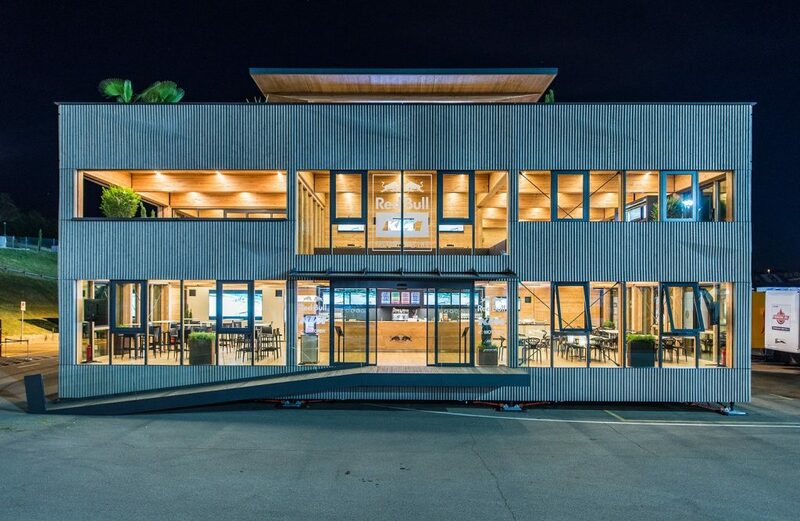 Today the Red Bull Energy Station ‘Holzhaus’ stands both as a subtle but monolithic presence in the MotoGPTM paddock and reflects the ambition and vision of both the company and KTM’s hunger for racing prestige. Walking into the Holzhaus is a little like entering the spacious and airy confines of a hotel. 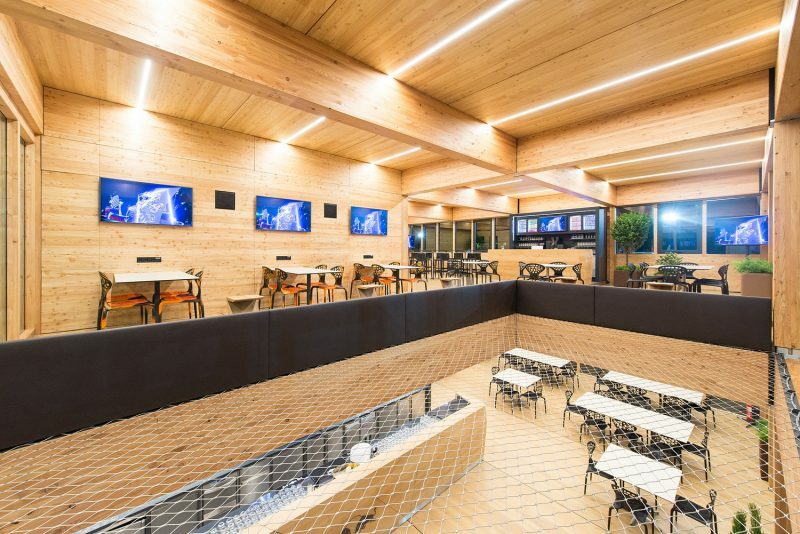 The wooded interior with strategically placed monitors, fridges and seating becomes more casual and less functional (but somehow also more exclusive) the further you rise through the three floors. A vast coffee bar greets the visitor once through the doors and past the showbike KTM. Red Bull’s early biking roots were stamped hard in 2007 with the creation of the Rookies Cup; a filtering competition to Grand Prix that has already produced star talent like Johann Zarco, to name one athlete among many. 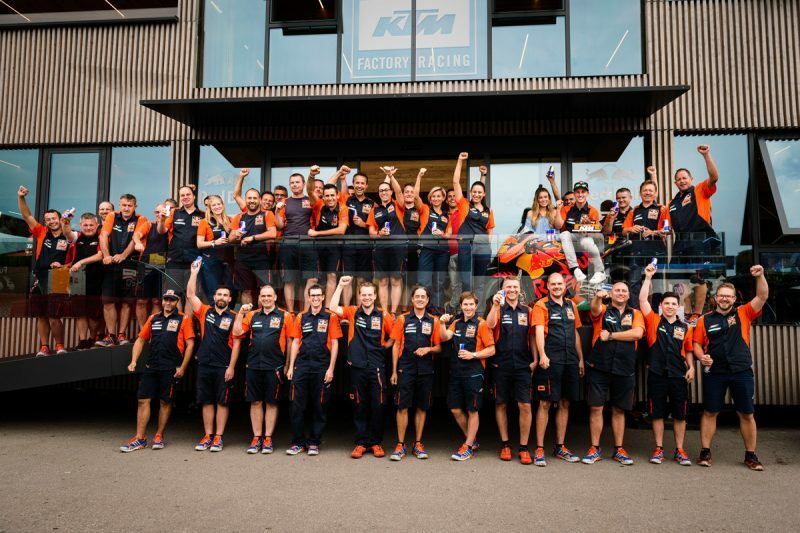 The contest was backed by KTM and the Austrian link spread to Moto3 (the first title was won in 2012) and then Moto2 before completing the circle in 2017 with the KTM RC16 baptizing KTM’s intent on the premier class. Hiking the Holzhaus to at least ten of the nineteen MotoGPTM events in 2018 is no easy (or cheap) task. Is there a risk that it might not pay off in the short term? We’re met with a serious look. “Of course, if you build a facility like this then it is not just for one year so the plan is to use it for many years,” we’re informed. 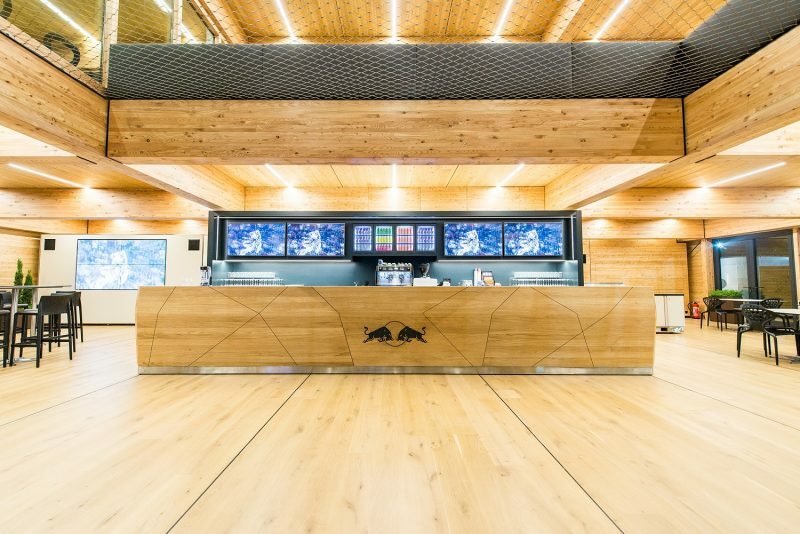 “For us it has been made as the home for Red Bull KTM but also for Red Bull and our guests. We are planning for the long-term and also developing it year-after-year. We are trying to maximize the facility and the space we get in the paddock from IRTA.” Wow, it might get even larger then. 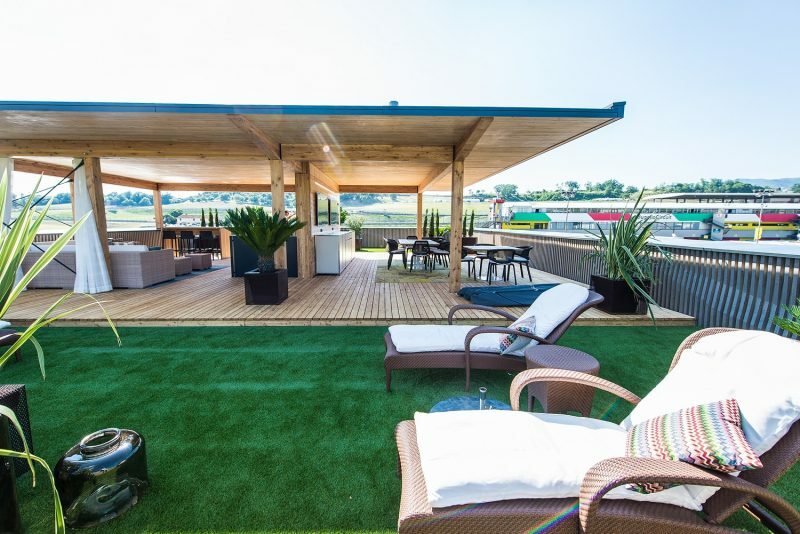 It already has a detachable terrace in some of the larger circuit areas. As we descend the stairs and given a friendly farewell it’s not difficult to understand just how and why Red Bull KTM are rapidly progressing to the front of the Grand Prix grids. nice house…! It looks great for living and working.